Do you like macaroni and cheese? I know the answer is YES. But do you like macaroni and cheese from a slow cooker? I need to tell you about this macaroni and cheese made with beer. All roads lead to my favorite city in the world, Winston-Salem for NC Beer. Beer, culture and history meet you in the middle of the Old North State to greet you with hospitality and comfort just off the interstate. Winston-Salem is full of opportunities to sample North Carolina beer. Foothills Brewing, Hoots Beer Co. and Small Batch Beer Co. all anchor Downtown and West End neighborhoods with a plethora of museums, bottle shops, restaurants and opportunities to sample. I have a few tips for cooking with beer, if you click here. Sometimes the sweet, malty overtones become saccharine sweet and overpower dishes when concentrated. Sometimes the floral aroma of hops become bitter and off-putting. Click and I'll help you create your own recipes at home. 1. Combine ingredients in the slow cooker: Set 1/2 cup of grated cheese aside, then combine the rest of the ingredients in the slow cooker. Stir to make sure that everything is evenly distributed and the pasta is evenly coated. Smooth the top so the pasta is submerged. 2. Cover and cook on LOW for 2 to 4 hours: The pasta is done when it has absorbed all of the liquid and the pasta is soft. It will look soupy up until the last half-hour of cooking, and then it will quickly finish cooking and absorb all the liquid. If this is your first time making this recipe, start checking the pasta after about 2 hours, then continue checking it every 20 to 30 minutes until all the liquid is absorbed. Every slow cooker will be slightly different; once you've made this recipe once, make a note of the cooking time for future reference. 3. Sprinkle the reserved cheese over the pasta in the last 10 to 30 minutes of cooking. Cook until the cheese has melted or the rest of the liquid is absorbed into the pasta. 4. 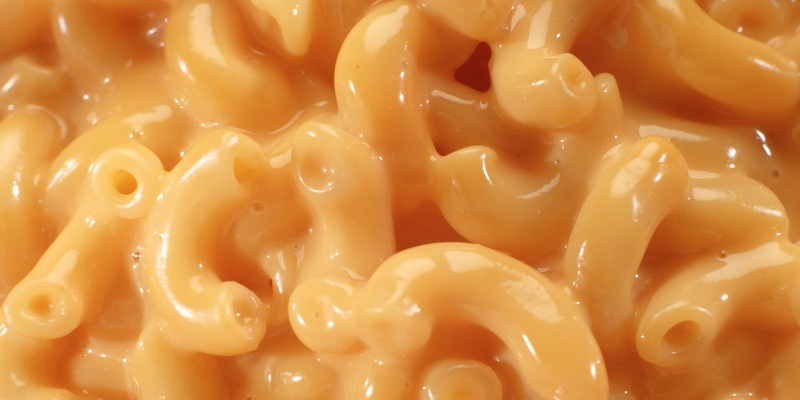 Serve: Serve this macaroni and cheese straight from the slow cooker. Leftovers will keep refrigerated for up to 5 days. * Smaller slow cookers: Halve the recipe to make this macaroni and cheese in a 3-quart or smaller slow cooker. * Crunchy-topped macaroni and cheese: For a crunchy top, melt a tablespoon of butter in a saucepan and mix in 1/2 cup of panko crumbs, crushed corn flakes, or breadcrumbs. Cook until the crumbs are golden, then set aside. Sprinkle these over the macaroni and cheese in the last half-hour of cooking, and leave the slow cooker only partially covered.